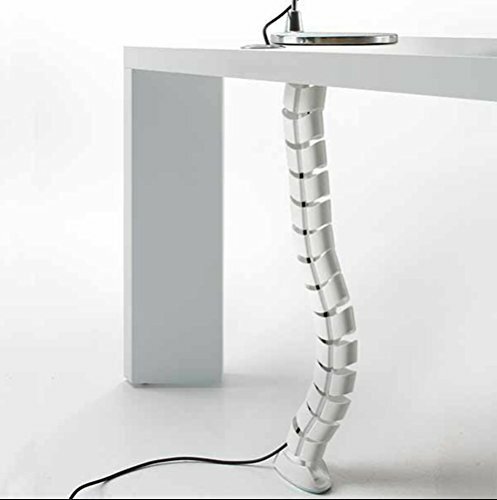 The Vertebra is a beautifully designed oval spine wire management system that brings a sense of elegance to any work environment. Featuring a double-channel cable system enabling the separation of cords when required by code. It expands from the work surface to the floor and can be connected to a grommet. A weighted base unit is attached to the vertebra system enhancing the product's stability. The modular design allows users to add or subtract individual vertebra as their wire management needs change over time. It expands from the work surface to the floor and can be connected to a grommet. The modular design allows users to add or subtract individual vertebra as their wire management needs change over time.